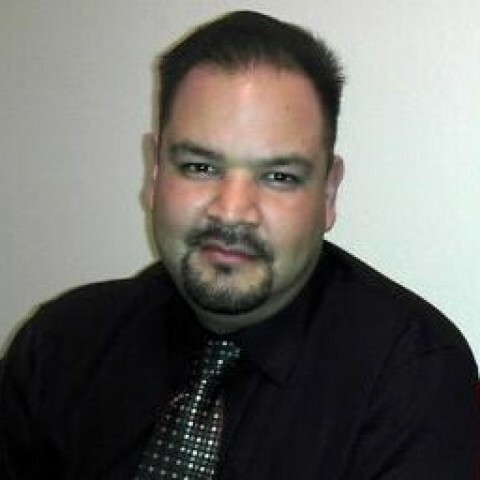 My name is Louis Chavez, I am 37 years old and I live in San Bernardino, CA. I moved here in 2009 to purchase my first home. Not the best place to live, but it is what I can afford. I was lucky enough to find a job after finding out that the last 2 companies I was working for were getting rid of the paper trail and going electronic and lucky me, I had the jobs that required a lot of paper. I quickly saw my jobs disappear even though my superiors told me not to worry they were going to fight for my job and here I am in 2015 finding out that not even my superiors could fight to save their own jobs. I have never left a job because I quit or was fired. I left a job because it was at the point of downsizing. This is what I have dealt with all my life since I have started working. I have always held some pretty good jobs, no, it didn't pay me what I wanted, but it paid my bills and has given me the life I am comfortable with. Today the company I work for is going through a Financial Restructure Bankruptcy. My office is a pretty strong office, so I don't see my office being one of the ones that would close, so far I don't feel a fear of losing my job yet. Not like I have felt in my previous positions. Well enough of the negative of my life, I am here to build the positive side of my life. I have been blessed enough to always have a job that would pay for my bills and allow me the short distance travels to still include in my life as vacation. I have tested many other programs and spent thousands of dollars. I don't know how much, all I know is that I have maxed our my credit cards multiple times just to try the next big thing that was going to make me some money. But I never knew what the heck I was doing. It kind of felt like the time I got my first warehouse Manager position, the company took me to my warehouse and told me, "here is your warehouse, good luck" I didn't know what the products were they were distributing, the place was a disaster and they had way to many employees for the amount of work that was being produced. But I made it happen. I have done a little research on WA and have found not much of negative comments out there, pretty impressive. So I am here today, cancelling my start up websites, because it is time to learn something: How to do it right. I am tired of testing, I need support, I need training. About the only success I had at a business, was running an online cake delivery service. I started developing a reputation, getting tons of orders for delivery and my partner in the business who was the baker was so overwhelmed that he couldn't handle the orders, because he was working a full time job, then going home to bake the next order. He was my life line for the website and he couldn't handle it anymore. We didn't have the money to hire people and we were building this from a small 850 sq ft apartment. So we shut it down. I want to rebuild a business just like that, where I had my site up and running and getting business I deserve. So much has changed on the internet since that site was shut down in 2008. I need to get back up to speed and get that niche going online. Start building my future. Welcome to WA and the WA community of people that are Affiliates like YOU! To your success in all areas of your life! Hi and Welcome to Premium! Welcome to Wealthy Affiliate community and Congratulation on upgrading to Premium. You are now one of us, awesome community. I am positive you are going to make it a success here in WA. If you have any question, please ask. We Are (WA) here to assist, to share, to build and to grow together. Thank you for your kind words of wisdom. Nice to meet you and thanks for the follow!! I wish you continued success at WA!!! Hi Chavezsera, thank you for the follow. I look forward to working with you here at WA community. Wish you success in all your endeavors! I think you have found the right place. I have learned so much here at WA. I wish you all the best in your online business. Hi Louis. Thanks for following me. I hope these first few months in WA have convinced you that this is a possibility. It hasn't been easy for me and it isn't for most people but the truth is, if we keep going there is hope for something better. It's a great community and fantastic training. I wish you the best. Hi there Louis, thanks for following me...it's much appreciated. I've followed you back. I know it won't be too much longer before the sites I have built get better rankings to get traffic, to start showing a little income coming in. But I can't complain though. Every time I feel down I just look around me, and I see many people that have it much worse than I. So Stay strong brother, keep the faith, and keep pushing on! Hi Ken, thanks for the kind words and thanks for the follow. I continue to plug in my information and try to improve my site. I look forward to hearing the progress of your sites and any advice or input you give, I am always welcoming of information. Hi there and thanks for the follow. I wish you the best of luck here at WA and look forward in following your progress. Thanks for the follow back. I wish you best of luck as well. I will be checking out your information for additional inspiration and direction. I appreciate the follow and best of luck to you. Nice meeting you as well. Any advice is greatly appreciated as I am still in the starting phases of my site. Hi Louis nice to hear from you. You are at the right place to create something wonderful. Work hard, focus, have some fun and keep in touch. Thanks so much for the follow and welcome to WA Best wishes for your success. Hi David, I really appreciate your kind words. I am in the right place and am looking forward to excelling in this venture. The training is really great. Hey Louis...thanks for the follow. Welcome to WA and if i may be of service to you please let me know. 2 of my 3 websites have a medical theme to them (the other is a WA site). Thanks Jeff, I will check it out. I can use the medical information for my blogs. Sounds good Louis. Anything I can do to help...just let me know. Hi Louis and thanks for the follow! Hi Louis, thank you for following me, it is nice to meet you. Anyway Louis, here’s wishing you all my best for your success with online marketing. Please feel free to send me a private message if there is anything I can do for you. You may also want to check out my WA profile blog posts as there is some interesting and informative information there. Here’s a little inspiration: I'm Number One ! Thank you Mike, I will be checking out a lot of profiles here and looking at websites for my added guide for building up my blogs. So far I think I am doing pretty good. I am receiving traffic, not only to my website, but also getting the click through into my WA site as well. So I must be doing something right. Thank you, I am doing just that. Hello Louis and thank you for wanting to follow me. You seem to be getting on ok and I hope you do well. Any questions, you ask ok.
Hi, Louis, Sorry to hear about all the troubles you have had working for others. However, you are in the right place to alter the balance of things for the future. 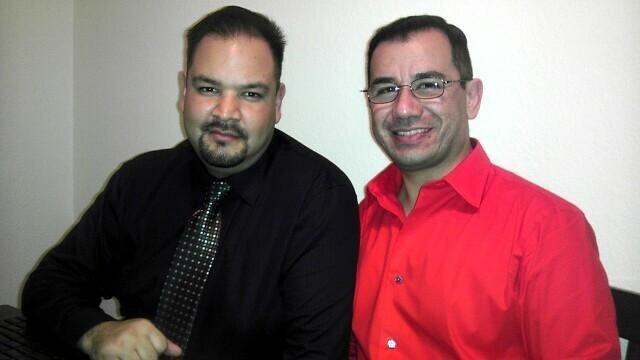 Thank you for including me in your network and I wish you great success with your new online business ventures. Thanks for the follow, Louis -- following you back. Welcome aboard and all the best to you here at WA. Thanks for the follow Louis, and I hope this is the place where you will find all of your heart desires. Hello Louis and Best Wishes to you! Thanks for the follow Louis. My you obtain every success you are looking for and may your journey be prosperous. By the way, I'm following you back. I see that you joined WA just a week after me. Not sure why I hadn't met you till now but I'm pleased to meet you. We all cross paths when we are suppose to. I think it is awesome you are in the Top 100 in a matter of months. I know I will get there as well. But my main focus at the moment is getting my revenue generated. Once that happens, I will start guiding others as you are already doing. Thanks for being here for all of us. We all need the help and guidance. Thanks so much for the follow and welcome to WA. Best wishes for your success. Hi Louis, Thanks for following me. How is your goal shaping up? Well, lets put it this way. I have been here for roughly 3 months, going on 4 and everything is moving along. Not as fast as I would like to be going, but I keep at it. I know I am in the right place. Hi Chavez . Nice to meet you . WA is a great place to learn internet marking . Thanks for the follow Chávez. You picked the right place to kick start that business. Best of luck to you. PSenwelo, I see you just joined. Keep up the great work. Don't give up. The information can be overwhelming. I am new to the program as well. I just signed up in April and from reading and answering all the questions that took up a lot of my time, just seem to cause me to hit a block. I took a little break to catch my breath. Always remember to never lose focus of what you are here to do. Contribute a little, but remember, you must focus on training and building for now. Thank you for following me and joining my network. I look forward to getting to know you and working with you. Let me know if I can assist you in any way. Thanks. I will keep you in mind. I have read some of you postings and they have been great readings. You have a great day. That is so wonderful of you to say, thank you so much for such a great compliment. Top o' the morning to you, Louis. You have come to the right place - here you'll get all the support, training, help, encouragement that you need - or could ever desire. Same to you Jay, and definitely lets stay in contact. Go for it Louis. With the experience you had with the bakery you can do anything, I believe. Finding the niche that will work may take time and maybe even another shutdown. Mix up the formula you had or find a baker who is not working at the moment. Have you seen those little cakes that are put on sticks? I hope WA can help you out too. Hi Louis, thank you for the follow. I think most everyone can relate to what you have gone through. It builds character and it shows through in your positive outlook. I wish you the best and welcome to the WA community! Thank you Ry, right back at you, Thanks for the follow and you have found what you are looking for here at WA. I sure have. Keep up the great work. I know this program is going to give us what we are looking for as long as we keep working at it. Hello, thanks for following, all the best to you here, regards. Hi Louis and thanks for the follow. Hi Louis. Thank you so much for the follow. All the best to you here WA! Thanks for the follow Louis, welcome here at WA and heres wishing you tons of success with your online venture. Take care Johan. Very cool. You will succeed more than you can dream of with WA. Great that you found the WA community. I wish you lots of success with your online businesses! Hi Louis, welcome to our WA Community, you're on the right place to start an online business! Thanks for sharing and for adding me to your WA network, much appreciated. Seems you're doing very well here, so keep on track and let's stay in touch, Desmond. We are here to help! Hi chavezsera. Thanks for the follow. I wish you continued success in your business endeavors with WA. Hey, thanks, same to you. I will check out some of your posts later on, after I complete my training. Hi Louis, thanks for the follow! Looking forward to working with you. Of course. If you have any questions let me know as I will ask as well. Thanks for the follow Louis! Great to connect with you! Let me know if you need any help or if I can help you to make money Online, or with your Smartphone that I been doing for 6 years! Hello Louis thanks for following, and welcome to WA you'll find all you need here at WA to go forwards and be successful. I wish you all the best for a good future. Thank you so very much for the follow!! Looking forward to networking with you!!!! Looking forward to the same. I am still in the beginning stages. So any support you can offer to jump start my progress will be greatly appreciated. I am still plugging away at the bootcamp. Keep in touch and you will see me reach the Top 200 as well along with success. I love helping people and giving advice were I can. Have a great day. Thanks, I am still in the beginning stages of everything, but I do learn fast and like you, my life revolves around WA along with still hitting the job market. I am happy to say I still have a job, but hope to end that in the very near future. Thank you for the follow. I wish nothing but the best for you here on WA. This is a great community, friendly, informative, and educating. Congrats on taking this step, and we can't wait to see your growth here. Thanks for the follow. Right back at you man. I assure you, this "warehouse" comes with complete instructions and all the support you need to make this a great success. Welcome and good luck louis!see you! Louis, I see you are making some good progress through the Affiliate Bootcamp. Just wanted to pop by and see if you need a hand with anything? Anyways, just checking in. Get back at me if you need anything Louis. I promise you, if I have any questions or need any help with anything, I will reach out to you. In the mean time, I do use the community to answer my questions or give me suggestions. So far, everyone has been great in responding. This is the greatest program and wish I would have found it sooner, but better late than never. Thank you to both you and Carson for creating something as great as WA. Sounds good Louis, I am here to help. So glad you are enjoying everything thus far and congrats on going Premium. I know you are going to make some amazing progress moving forward. Chat soon! Thank you Louis for the follow and many blessings to you here at WA. If you need any help remember to post your question in the comments section or on live chat, and someone will be able to help you. Thank you for the follow. As I check out everyone's profile, I am making note of who has information I can benefit from. I am looking for every way possible to improve my methods and learning ways to increase my possibilities of gaining more traffic as I am in the beginning stages and would love to accomplish my trip to Vegas with WA even though I am in Vegas 2-3 times a year. Hello! Welcome and thank you for the follow! Best wishes on your internet and business endeavors! I appreciate you following me! I hope that you decide to take full advantage of the training that's available here! I sure am, I am training and building as quick as I can as I am 37 years old and feel like I have lost time. But like people tell me, you are where god wants you to be right now. Hi Louis, Thanks for the follow. Great to see you here. I'm just down the road in Desert Hot Springs. Enjoy Much Success here in WA. This is so cool. Someone close to me is with WA. I thought everyone was from far away. Wishing you great success, anything you can share, please do. I would like to get up and running as quick as possible. I am working really hard today to get at least one of my sites done. I am working on 3 of them. Can do. One thing I learned is don't skip and work only on one site first. I am amazed at how many people just like you come here after getting burned by others. I am happy to let you know this place has everything you are looking for and people are here to help you in any way we can. If you need any help feel free to give me a holler! Louis, Thanks for Following. I hope you have Great Success with your Time spent here on WA, and I wish you Success in achieving all of your Goals! Thanks for the follow Louis and welcome to WA. So excited, just complete Affiliate Bootcamp Lesson 1. Still going at it and loving every moment. Hi, I appreciate the support I am getting from WA, still working on the training's. I know I will have questions and I will keep you in mind. Welcome premium member Great choice. Sounds like it has been quite a journey to find your way here to WA Louis, but I am glad you did. Thanks for the posting Kyle, I am looking forward to workig with everyone at WA. I have not set up my Premium Membership yet, but I will . Still just going thought the information that is being provided to me. It is time for a turn around and this is going to happen and I have developed my confidence in WA with the reviews I have read on the web, even under scam websites. Looks like people are very happy with your system in supporting that this program works.